On February 7th, Debra Pember will rock the stage at Pathways of Hope’s Look Who’s Dancing fundraiser! Debra is self-employed, working full-time as a partner in Developers Edge, an LLC partnership. In addition to being a Board Member of Pathways of Hope, she is a member of the Friends of the Fullerton Arboretum and Fullerton Republican Women, Federated. She is also a member of the local YIMBY (“Yes In My Backyard”) nonprofit housing advocate organization and supports other non-profits such as WTLC and HomeAid/OC. 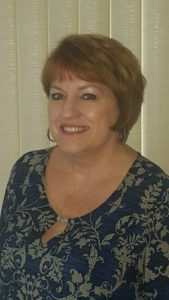 Debra regularly attends Planning Commission and City Council meetings and attends City of Fullerton functions such as Fullerton Women’s Leadership Forum and LOVE Fullerton. Debra supports Pathways of Hope because she believes we can be a part of the solution to end the experience of homelessness and hunger. She believes that Pathways of Hope is instrumental in engaging our community to help our cause.